William Hill has added three new slot games by Williams Interactive that are exclusively available at William Hill Vegas. First we have another colossal reel game, Li’l Red, which some my find at your local casino. Li’l Red is an exact clone of games like Kiss and Spartacus, but now with a Little Red Riding Hood theme. As the others, wild reels are transferred from the small reel set to the colossal reel set and during free spins wild will expand to cover the entire reel and are also transferred. I know it’s the third game that uses the exact same principle, but Li’l Red might attract some player more that the other games. 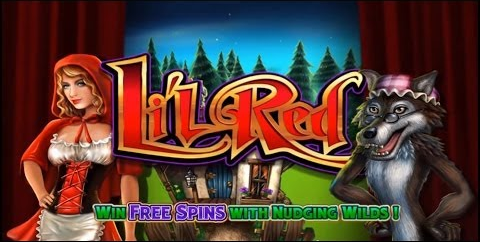 And Li’l Red comes with a very cool tune during free spins. The second game is Reel Rich Devil. This game uses the Spinning Streak engine. On each spin, winning symbols are held while you will get free re-spins to make higher wins and fill the reels. Reel Rich Devil also comes with a very nice bonus game when you get 5 or more bonus symbols. The more symbols you have, the higher your reward level. And last they added Plataea, this is a clone of Heart of Venice, another Williams Interactive game that uses the Hot Hot Super Re-spin engine. Mystery symbols appear on all reels, when the first reel is filled with a mystery symbol you will be awarded with free re-spins and all wilds and mystery symbols are held. During free spins more mystery and wild symbols appear. I like all three games very much. I know they are all available in other forms, but for me it’s nice that I can now choose my theme. And I have always been a big fan of Williams Interactive, so the more choice the better. William Hill Vegas is part of William Hill. Here you can find all kind of games and slots. In the casino mainly Playtech games, under the games section games from NetEnt, Williams Interactive and Bally and under the Vegas section all exclusive slots from Ash Gaming and Williams Interactive. All under one account. William Hill has weekly cash back offers and a lot of cool promotions. They are very fast with withdrawals, sometimes even instant and they offer all major banking methods.